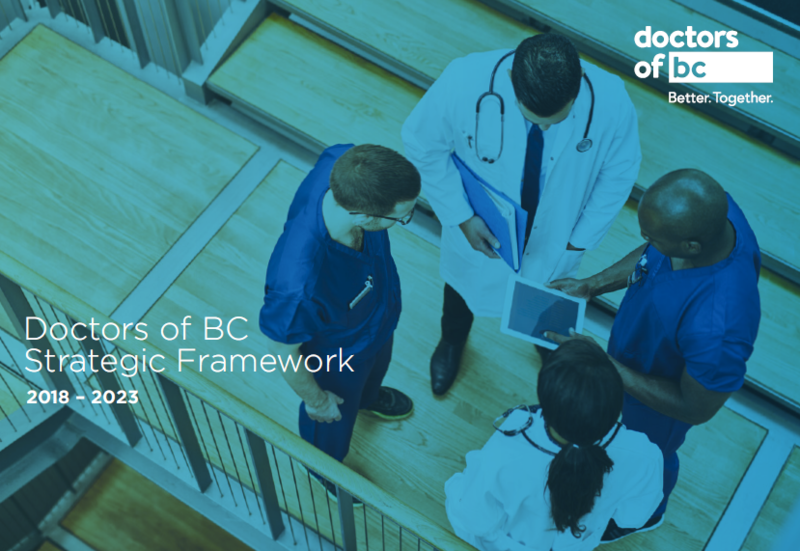 The Don Rix award recognizes lifetime achievements and exemplary physician leadership so outstanding that it serves as an inspiration and a challenge to the medical profession in British Columbia. Dr Linda Warren is the recipient of the 2015 Dr Don Rix Award for her leadership behind North America’s first Screening Mammography Program of BC, which has served as a model for other jurisdictions around the world. Her leadership has resulted in a world-class screening program – North America's first – which has since served as a model for other jurisdictions around the world. She is a clinical professor in the Department of Radiology at the University of British Columbia and responsible for training most of the breast radiologist's currently practicing radiology in this province. Her personal efforts have greatly contributed to British Columbia's breast cancer mortality becoming the lowest in Canada. The Doctors of BC Silver Medal of Service is awarded to physicians or non-physicians who have made outstanding contributions to medicine and / or improving the welfare of British Columbians. For over 40 years, Dr Dorothy Shaw has been a strong advocate for the health and rights of women and their children around the globe. From 2006 – 2009 she was the first president of the International Federation of Gynecology and Obstetrics of Gynecology, and in 2010 she was the spokesperson for the World Health Organization’s Partnership for Maternal Newborn Child Health at the G8 and G20 summits. She has received countless awards for her leadership, and is currently a clinical professor at UBC’s Department of Gynecology and Medical Genetics. Dr David Robert Shaw has dedicated his professional career to serving his community. Early in his career, he recognized a passion for living and working in rural BC. For 35 years, Dr Shaw served as a rural generalist physician in the BC communities of Logan Lake and Oliver. A strong advocate for the merits of family practice, his advocacy extended well beyond supporting individual patients. He helped recruit to BC’s interior a significant number of physician peers who, like him, embraced the values of contributing professionally through rural generalist medicine. Dr Larry Goldenberg is a world renowned expert on prostate cancer. Due to his dedication and hard work, he has made the Prostate Centre at Vancouver General Hospital one of the leading centres in prostate health. As a result of his leadership, VGH has a state of the art, robotic surgical suite that has revolutionized prostate cancer surgery in terms of morbidity and recovery. Dr Goldenberg is also the driving force behind the Men’s Health Initiative of BC – a large-scale initiative aimed at improving men’s health and quality of life. The Dr David M Bachop Award is given to a BC doctor who has made an extraordinary contribution in the field of organized medicine and/or community service. Dr Carole Williams has served her patients and the medical community admirably for over 30 years. She has volunteered her time on the boards of the BC Society of General Practitioners, Doctors of BC, the Canadian Medical Protective Association, and the North American Medical Women’s International Association, among others. In 2001 – 2002 she also provided primary medical care to the people of Abu Dhabi and was instrumental in establishing there the first-ever, coordinated, longitudinal primary care system. The Silver Medal goes to Dr Matthew Petzold who came first in the Family Practice Certification exams. This summer he will be working as an emergency physician on Vancouver Island – and following that he’ll be moving to Yellowknife where he’ll be able to practice both his medical interests – emergency and rural medicine. The Dr. Cam Coady Award commemorates Dr. Coady’s great love of medicine and to ensure that his goals and objectives to achieve excellence in health care continue to be fostered. Dr David Hardwick’s career is focused in the field of pediatric pathology. He worked at UBC for more than sixty years and won an honourary law degree in recognition for his commitment to the principles of academic freedom. He contributed to the visionary team of BC Children’s hospital by bringing various medical and lay teams together. He also advocated and fundraised for a congregating site for medical students, where activities and events could be hosted, now the current Medical Student and Alumni Centre (MSAC). Doctors of BC’s Excellence in Health Promotion Awards recognize the special efforts of individuals, non-profit and for-profit organizations. Based in Kelowna, Across the Lake Swim Society is committed to educating Okanagan school children swim safety and preventing the number of needless drowning fatalities each summer. Each year, 1,400 kids from Peachland to Lake Country, BC, receive free swimming lessons that develop their safety skills and empower them to live healthier lifestyles and experience the benefits of regular activity. Since 2012, the Society has contributed over $45,000 to this program allowing 4,000 children access to basic swimming lessons. For ten years, the Vancouver Island Women’s Clinic has provided reproductive health care to women on the island who would otherwise need to visit an emergency room in Nanaimo or Victoria. Thanks to the visionary leadership of the clinic’s directors, women are able to receive onsite ultrasounds, blood tests, and contraception to reduce the rate of abortions. Wait time is minimal and there are few referrals to specialists, reducing overall public health costs. The Changemaker Award recognizes medical residents and students who have demonstrated exemplary leadership and dedication to the cause of advancing the policies, views, and goals of Doctors of BC, or of a medical Resident/Student organization in BC, through grassroots advocacy efforts. Elisa Kharazi is a fourth year medical student at the University of British Columbia with an interest in Family Medicine studies that has displayed exemplary leadership as an advocate for her peers at the BC Legislature and contributing to dialogue surrounding the future of health human resources and residency training. During her terms as president of the Medical Undergraduate Society and vice chair of the Political Advocacy Committee, Eliza organized the first Medical Student Lobby Day, and led an effective letter writing campaign by 500 students to BC MLAs that clarified their role and interest in medical training in BC. Honorary membership is an honour bestowed on those who, at the age of 65, having been active members of the Association for at least 10 years, have been nominated by their provincial/territorial medical association and have had their nominations approved unanimously by the Board of Directors of the CMA. The nominees are held in high regard by their colleagues; they are humanitarians who have put into practice the aims and ideals of our profession.